Being an island, Sri Lanka has no shortage of beaches, no matter which part of the coast you are on. And Kalutara is no different. Located in Panadura, this beach is accessible from the town and if you are on Galle Road, the beach is just a few minutes’ walk down the lane. 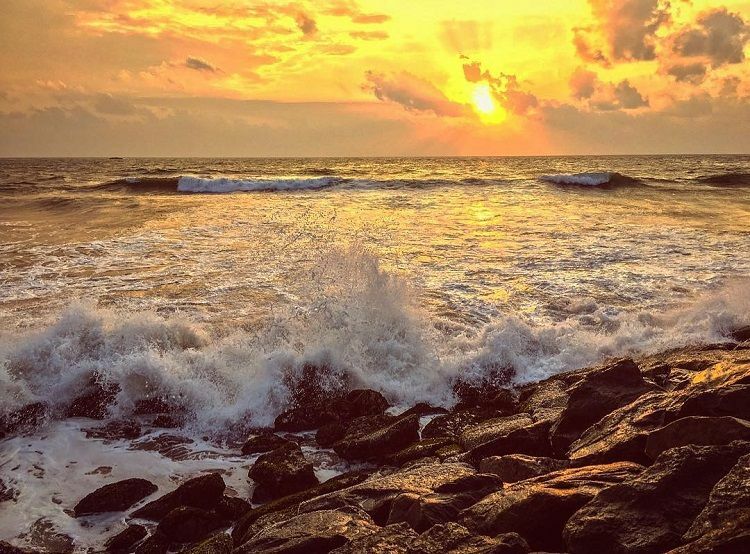 There are many beaches around Kalutara, and we recommend this for its tranquil atmosphere. Tip: The beach is located just 16 km from Kalutara towards Colombo. With miles of golden sands and infinite waves that you can dip your feet into, the beach is a nice and calm place to spend your evenings at. If you are tired of the noisy beaches of the island and would love some quiet time with your family or friends, the Panadura Beach is a good place to go to. If you move along the beach towards the north you’ll find the estuary of meandering Bolgoda river. Avoid going to this beach on weekends or on a Poya Day. Poya is a national holiday in Sri Lanka and is given on the account of the full moon every month as it is an auspicious day for the Buddhists. Being close to Colombo, the beach gets crowded on holidays. Like all the beaches in the world, the Panadura Beach is also at the risk of becoming unclean overtime, therefore, pick up after yourself and do not leave plastic bags or bottles lying around as they might get washed into the ocean, harming the marine life in turn. Sea is too rough for swimming. Make sure to take a dip in the designated places marked safe by guards. There is a dedicated area for children to play. 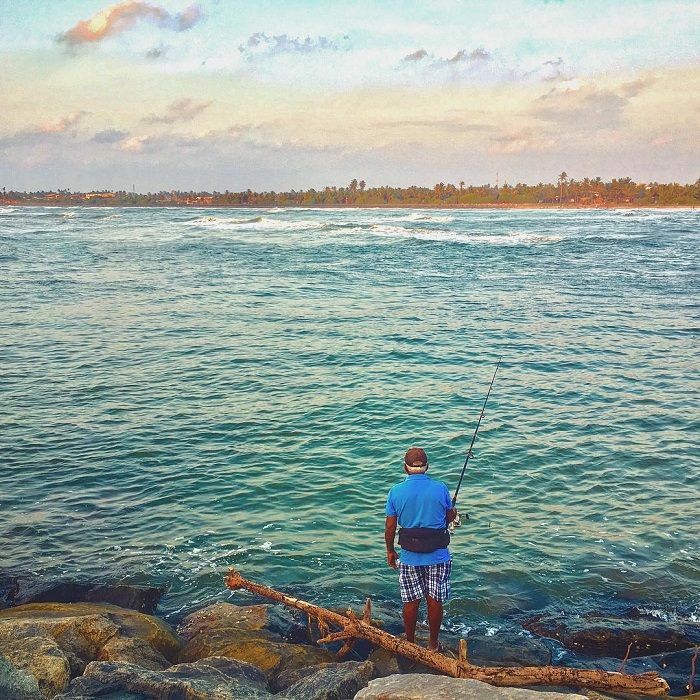 Panadura is a fishing town, therefore you’ll come across many locals engaging in the act. There is a fishing harbor as by the estuary. Better to visit on a weekday since it tends to get crowded on weekends. There are street food as well as decent food courts available. Visit in August-September to see kites. Leave only footprints on the golden sand and take only memories.